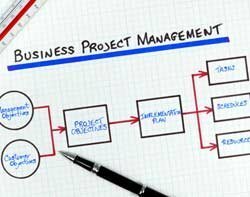 Businesses risk a return to late, over-running IT projects, following a sharp decline in investment in project- management training. Companies have cut back training in project management skills over the course of the downturn, research by certification and training group, ESI International reveals. Training cutbacks are likely to rebound on companies in the long term, leading to more cost overruns and delayed project implementations, said J. LeRoy Ward, executive vice president at ESI. “The first thing that gets cut back is travel. That knocks off a whole load of training because people have to travel to classes. Then they cut [project management] training, but in the end its going to have a deleterious effect on your overall success,” he said in an interview with Computer Weekly. A survey by ESI of employees working in project management, shows a sharp drop over the past 12 months in the proportion of staff reporting that their Project Management Office’s (PMOs) are actively involved in on-going training. The figures show a fall from 48% to 24% among employees who are not directly managed by the PMO, and from 57% to 46% among employees that are managed by the PMOs. The decline may show that other parts of the business are taking over responsibility for project management training from the PMO, as well as fall in investment in training, said Ward. Despite this decline, Project Management Offices have grown in popularity in recent years, as companies seek ways to spread best practice in project management throughout their organisations. At the most basic level, they offer a one stop shop for senior executives seeking progress reports about projects in IT and other departments throughout the enterprise. They also play an important role in helping organisations standardise the way they manage projects and train project management specialists. “When I am hiring someone [the PMO] can train them, that this is the way we do things. It helps them get up to speed much more quickly,” said Ward. As a result, when project management specialists are re-deployed from one location to another, they do not have to learn new processes. Perceptions of the value of company PMO’s can vary, depending whether project management specialists report to the PMO, or whether it has more of an influencing role in the organisation. “Employees who do report directly to a PMO feel ignored to a certain extent. Those that do seem to stand a better chance of being trained in hard and soft skills, and get better support,” he said. One common criticism of PMOs is that they can appear more concerned with following the process rather than getting the job done. In some cases, project managers resent reporting to another body, when they feel capable of managing their own projects. In these cases, Project Management Offices need to work harder to raise their profile in the business, said Ward. For IT professionals, PMO’s can help those that want to move from a technical career to a managerial role. “If I am an IT professional, I would be very active in finding my PMO director and availing myself of all the training and opportunities,” he said. Project Management Offices may employ anything from two or three employees upwards. It makes sense for multinational companies to have a number of Project Management Offices, which report to a central PMO, said Ward. “If you are running an organisation of a significant size, I would suggest the IT department has its own PMO, that should report to a central enterprise PMO,” he said.